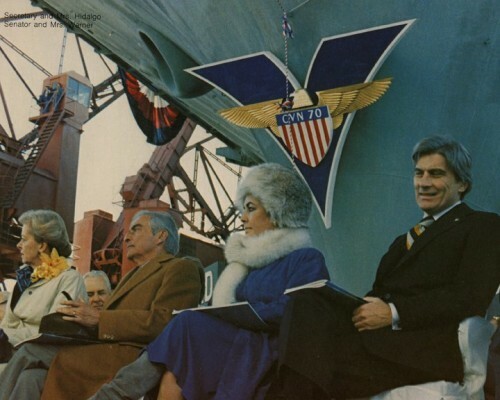 Elizabeth Taylor and her then-husband, former Navy Secretary and Sen. John Warner, alongside the Carl Vinson. // Photo from Carl Vinson Public Affairs. Nearly 28 years ago to the day, the carrier Carl Vinson had a visitor whose death is one of the biggest news stories of the week. Elizabeth Taylor, who died Wednesday, attended the ship’s christening (or maybe commissioning) with her husband, former Navy Secretary and then Virginia Sen. John Warner. The two are shown together in a photo posted on the carrier’s Facebook page, which described her as a “friend” of the ship. The photo’s origins are unclear. The caption says it’s from the christening March 13, 1982. 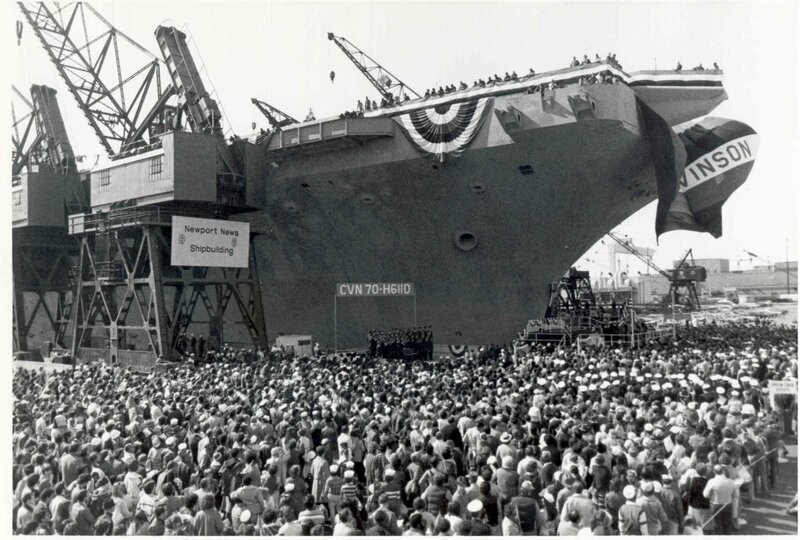 The ship, however, was christened March 15, 1980. The picture is probably actually from the commissioning, which took place March 13, 1982, the date of the photo. The recent picture of Liz. Taylor was at the ship’s commissioning. I was on the comissioning crew.